2017 is the year for Bantay Bata 163, the child care arm of the ABS-CBN Lingkod Kapamilya. For 20 years, Bantay Bata 163 has become bigger, better and bolder in serving the Filipino children. 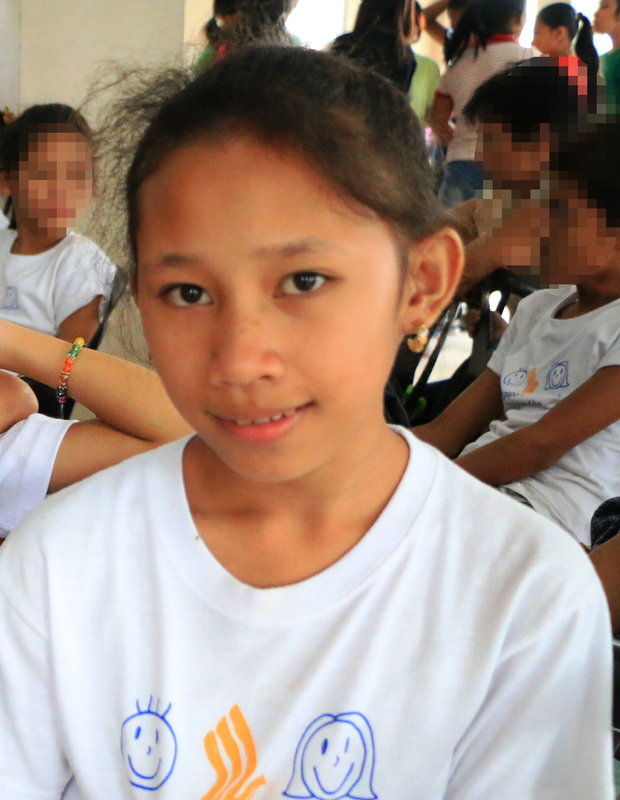 Since 1997, the program has catered children from zero to twelve (0-12) years old through its various services: Medical, Hotline, Child Helpline National walk-in services, rescue, legal, home visit, Children's Village for the rehabilitation services, scholarships under Bantay Edukasyon program, community outreach projects and family therapy unit. To celebrate Bantay Bata 163’s journey for two decades, three (3) stories of hope and inspiration were recently featured on ASAP, the longest musical variety show on Philippine television. ASAP stars sang on ASAP LSS in celebration of Bantay Bata 163’s 20th year. Dylan Matthew Corpuz is just one of more than 60,000 patients served. Dylan was only three (3) months old when his parents brought him to the doorsteps of Bantay Bata 163 on July 10, 2014 due to Congenital Heart Disease (CHD). He was severely ill, thin and feeble. Through the donors’ generosity, few months after, he successfully went to an open heart surgery at the Philippine Heart Center on October 2014. His condition improved after the operation. In September 2015, he underwent cardiac catheterization. After series of operation, Dylan is now in the pink of health. Raffy Damalerio found hope when he was rescued in 2002 after his guardian beat him up violently. Thanks to a concerned citizen who called the 1-6-3 Hotline, he was placed under the protective custody of Bantay Bata 163 through the Children’s Village. His guardian “Chona” was allowed to visit him during weekends. He opened up and attended parenting sessions where he was taught about child abuse, the law, positive discipline and parenting. After his studies, Raffy is now working for a company in Meycauayan, Bulacan. Chona, his “mommy” on the other hand, currently works as a staff of Barangay Captain Angelika dela Cruz in Malabon. Also present were Mr. Leonil Desiderio and Mrs. Emie Desiderio, guardians of Bantay Edukasyon Scholars and Yolanda survivors Arlann Hilbero, Raymart Amigo, Ryann Norcio and Marjun Libanan. In April 2014, Fr. Delfin Tumaca referred the boys from Eastern Samar to avail the said scholarship funded by Bruno Mars. The boys already graduated and now working on their own. 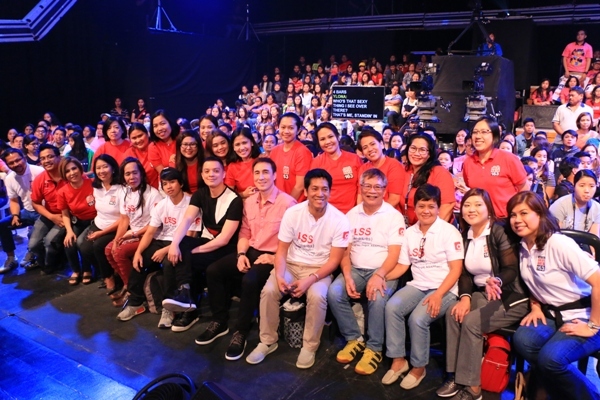 The beneficiaries, social workers and staff were honored to be part of the program’s journey as they were serenaded by father and son, Gino and Josh Padilla, The Voice Kids Esang and Joshua, Bamboo, Jolina Magdangal and Denise Laurel. ABS-CBN Lingkod Kapamilya’s Bantay Bata 163 will continue on its mission to be of service of the Filipino children. “Bamboo” and Gino Padilla strike a pose with Bantay Bata 163 beneficiaries and staff.